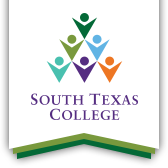 Serving her second full term on the South Texas College Board of Trustees, Rose Benavidez says safeguarding the value of all students’ education remains her top priority for the coming year. As Vice Chair on the Board of Trustees, Benavidez says she will promote even greater accessibility for families seeking higher education so students overcome their challenges on their way to a better life by working to develop more mentoring programs. “We want them to know that together we can and will do anything,” she said. “We are facing considerable dilemmas at the national level with damaging rhetoric about the border, and it obviously impacts our students. We want them to know that they have a voice at the state and national level, and more importantly that we are going to ensure that we protect and safeguard the value of their education,” said Benavidez, who represents Starr County on the Board. Originally selected to continue on the Board of Trustees in place of her father Manuel Benavidez after he passed away, Trustee Benavidez has served on the board since November 2009. Her constituents have recognized her as a tireless advocate for Starr County as she was re-elected to a second term in May 2012 and then a third term in May 2018. She chaired the Board during its November 2013 Bond and Maintenance Tax Election, and through her constituents in Starr County and their strong support, were instrumental in seeing the bond and the maintenance tax increase approved. She also serves on the Board of the Association of Community College Trustees (ACCT), and represents the ACCT’s Western Region, advocating on a national level for the needs and interests of community colleges. She recently completed her term as Chair of ACCT’s Board Diversity Committee. In her working life, she currently serves as President of the Starr County Industrial Foundation, a non-profit organization founded and supported by local government and business leaders committed to developing the local economy. Benavidez said a major priority for the board this year is to work closely with school districts and with Workforce Solutions to ensure the college is preparing students and the labor force for adequate jobs. “The Board is always looking to develop programming that ensures our students are not just receiving rigorous academic programming, but that they also obtain employment,” Benavidez said. “We understand the value of dual enrollment for example, and we realize that it not only benefits our students but our families and our communities in terms of wealth of knowledge and the college readiness it provides. “We know that our efforts are creating a college-going culture in this region, and we want to make sure that we continue to expand these programs and leave no doubt about their effectiveness and the tremendous benefit they yield ,” she said. Promote greater accessibility for those seeking higher education opportunities, so students may overcome their challenges and transform their lives and communities. Increase advocacy at the local, state and national level to ensure we safeguard the value of higher education by highlighting its significant impact. Develop more programming that will guarantee our students are exposed to rigorous academic standards and state of the art training that enables them to obtain meaningful and gainful employment.